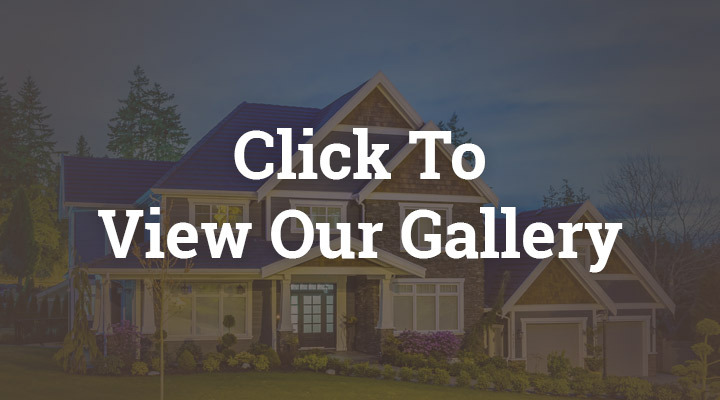 Cannon Custom Homes has gained recognition from many clients, real estate professionals, subcontractors, and inspectors for our high quality & on-time delivery. We are proud of the fact that we have maintained a reputation for our integrity & excellent client relations. Rarely do I have the opportunity to voice my appreciation and satisfaction for a job well done, but I want to take that opportunity to thank Cannon Custom Homes for providing such a sound home, that through your care and professional way you conduct business I enjoy today, as the first day I moved in. 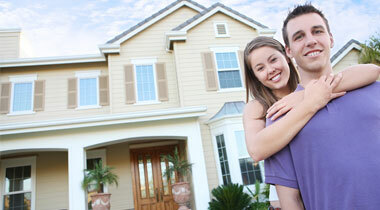 It is evident that all of the different aspects and attention you provide results in a satisfied homeowner. From the first time we met and how you conducted yourself in providing information, through the negotiation process, the closing process and a few minor cosmetic touch-ups at the one year mark, has resulted in a homeowner that is not only happy and satisfied, but more than willing to share his experiences with any future homeowners you are working with. In late 2008, my wife & I purchased a lot to build the dream home we always wanted. Fortunately we had discovered Cannon Properties several months earlier while looking at new homes and were impressed with the quality they offered. After careful consideration we choose to have Cannon build our new home. Nathan & Danika spent many weeks with us just on the floor plan, meeting every few days and making changes until it was exactly as we envisioned. Within a week after finalizing the floor plan, Nathan produced the architectural designs & drawings and construction started in mid December 2008. Nathan furnished an exact price for the home with detailed amounts for each stage of construction. However, we wanted this home just right so nearly everything was “upgraded” as it was being built – roof, doors, windows, counter tops, cabinets, floor coverings, plumbing fixtures, concrete walks, etc. – and Nathan worked closely with us to accommodate all our changes. Even with all the revisions, our home was finished on time as Nathan promised from he beginning and our home was exactly as we pictured. June 2013 marks four years since moving into our dream home and we still appreciate the high quality and fine construction that Cannon Properties provided. If anyone asks me for the name of a quality home builder, Nathan Forrester & Cannon Properties will be my only recommendation (along with many compliments). If we ever decide to build another home Nathan will be the only one we call. We had Cannon Properties do a complete kitchen design and build on our home. The job was done quickly and according to our expectations. We had the kitchen cabinets custom made with lots of attention to detail. The finish I wanted was one of my biggest priorities and Nathan completed it above my expectations. The cabinets turned out beautiful and still are to this day. All work was completed in a timely manner and Nathan was wonderful and reassuring to work with. He knows and understands the business and does high quality work. 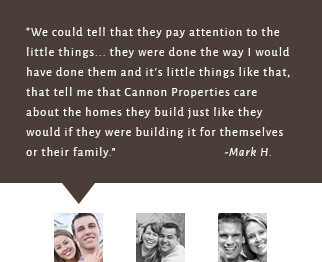 We would highly recommend Cannon Properties in any building projects and would use them again. Nathan has done a number of projects for us over the years and we have been extremely pleased with everything he has done for us. He is very conscientious, fair, reasonable and very easy to deal with. We highly recommend him without reservations. Nathan is excellent & does a quality job. He is efficient and keeps any work area meticulously clean. 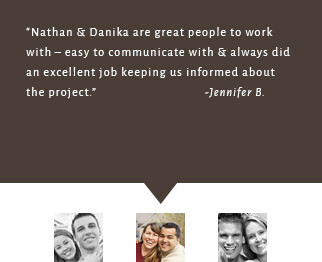 Nathan & Danika are great people to work with – easy to communicate with & always did an excellent job keeping us informed about the project. We love our home. We really, really do! We wanted a home that we loved more than the one we had left in Texas and after months of looking for a new home and walking through many model homes we knew after we walked through the model built by Cannon Properties that we found the builder we wanted to build it for us. We could tell that they pay attention to the little things (which I can promise you that there are a lot of builders out there that do not…) because when we looked at how well the crown moldings and base boards came together at the joints and how tight and precise (very little caulking was needed to fill any gaps if there were any gaps at all) they were. They were done the way I would have done them and little things like that tell me that Cannon Properties care about the homes they build just like they would if they were building it for themselves or their family. Another thing I really liked about how Cannon builds their homes is that they use 2 x 6 studs on all the exterior walls which not only adds strength to the wall, the increased R value definitely helps with the utility bills! Once we decided on the plans we were going to use, we were allowed to sit down and incorporate changes into the final plans on how we wanted our home built. They got right to work on getting the lot we picked and started to work on the foundation as soon as the permits were signed in late September. We expected the whole process to take 5 to 6 months, hoping we would be able to close and move into our new home by no later than Apr 1, but even though we had a pretty rough and cold winter they were still able to finish in time for us to move in by the end of Feb! Our new home was BEAUTIFUL (and still is…) and we were and still are very pleased with it. 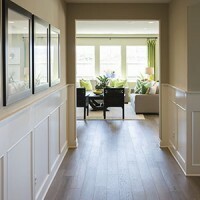 Just like in the model homes we looked at that sold us on Cannon Properties, our new homes “little things” were taken care of in a way only you would do yourself. Any time during the build if we had a question about anything, they would get us an answer as soon as possible and they were very responsive. If for some reason they could not answer their phone when we did call, they would call back in mere minutes. When it was time for us to go to pick out our lighting they did not just tell us to go somewhere and pick out what we wanted, they took us. Danika knows what works well and helped us get some great deals on our lighting and ceiling fans. After our closing, they gave us a nice binder explaining the terms of our warranty and also listings for every sub-contractor that they hired to work on our home. It is nice to have that handy when you have a question about anything, because you know exactly who to call. I have purchased 2 other homes before this one and not one of the previous builders gave us anything like that. Another thing that we have to say about Nathan, Danika and the rest of the Cannon Property team is they become your friends. 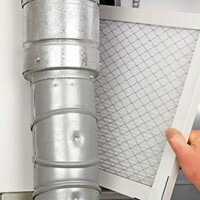 You feel like they are vested in your home with you and even five years later, if I have a question or problem they are more than eager to help us. No one does that anymore, especially a home builder…but THEY do! 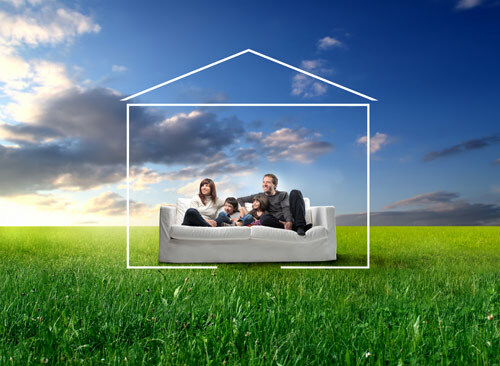 If you are thinking about having a home built and you are looking for a builder, you will not be disappointed. I can honestly say that if I ever need another home built in the future I know who I’m going to call…and if I am somewhere where Cannon Properties is not, I will be very wary and pretty sure that my home building experience will not be near what it was with Cannon Properties while building our present home. Give Cannon Custom Homes a call today to learn how we can help you build the home of your dreams.